The Crowdfunding for WooCommerce WordPress plugin will let you create fully functional crowdfunding site with WooCoommerce. This plugin is a premium version of free "Crowdfunding for WooCommerce" plugin. Custom “Back This Project” (i.e. “Add to Cart”) button labels. Enable and customize “Open Pricing” (i.e. “Name Your Price”) functionality. Add a form, so your customers/users could add their custom campaigns directly from frontend. Set custom HTML to show when project not yet started and/or ended. Modify and choose where to display crowdfunding info, that is: goal remaining, time remaining, already pledged etc. Choose when and if to end the campaign (goal reached, time ended). Choose which order statuses to count in pledged calculations. Style progress bars for time remaining, already pledged etc. Plugin works exactly the same as free Crowdfunding for WooCommerce plugin, except there is no limitation on how many crowdfunding products you can add. Plugin consists of two type of settings: global (i.e. for all products globally) and local (i.e. per product). Global settings can be set in Admin Dashboard > WooCommerce > Settings > Crowdfunding tab. Set orders status to include in crowdfunding calculations. Set default add to cart button labels (for single product and archive pages). Set default HTML templates to display on product not yet started or ended. Enable radio buttons for variable products (instead of WooCommerce standard drop down list). Set campaigns ending options (end on time ended and/or goal reached). Set products data update rate. Sets which order statuses should be included when calculating crowdfunding data. You can change this in product edit on per product basis. You can use shortcodes here. For example: [product_crowdfunding_time_to_start]. You can use shortcodes here. For example: [product_crowdfunding_time_remaining]. Replaces standard WooCommerce drop down with radio buttons for variable products. Sets if a campaign should be stopped when deadline is reached. Sets if a campaign should be stopped when goal is reached. Sets if an email should be sent to admin when campaign ends. Possible values: Update every minute; Update every fifteen minutes; Update hourly; Update twice daily; Update daily; Update weekly; Realtime (not recommended). Log will be saved in WooCommerce > Status > Logs. Adds “Crowdfunding Data” column to the admin products list. You can use shortcodes and/or HTML here. Ignored if Add “Crowdfunding Data” column option above is not enabled. In Product Info settings section you can set how and where to display product’s crowdfunding data, e.g. number of backers, pledged amount, time remaining etc. You can set different data to display for product category or single views. On single product’s page you can also display crowdfunding data in WooCommerce tab. 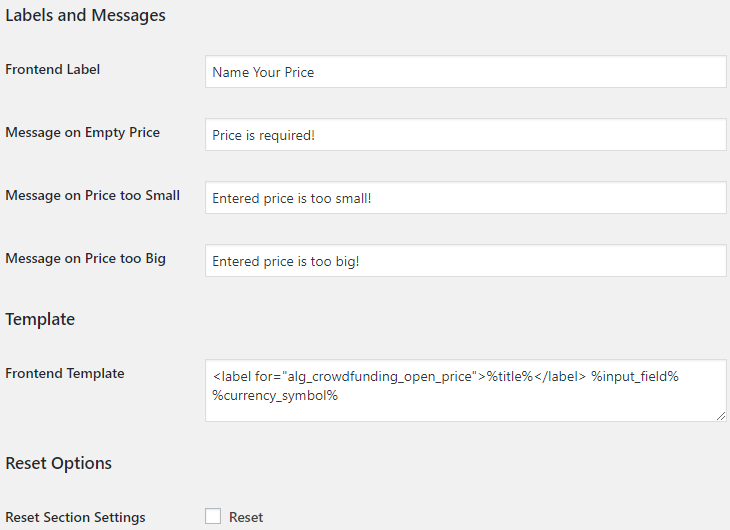 In Open Pricing (Name Your Price) settings section you can set frontend labels and messages: frontend label, message on empty price, message on price too small and too big. Other open pricing options are set in each product’s edit page. 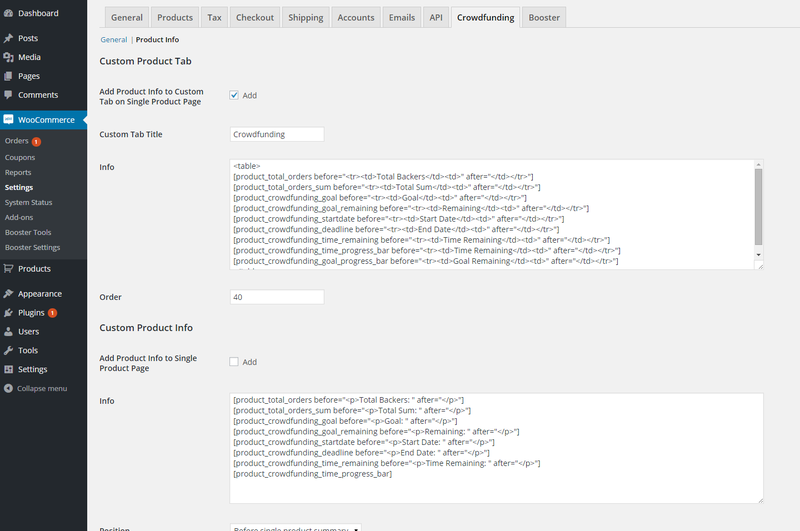 In User Campaigns settings section you can set options for [product_crowdfunding_add_new_campaign] shortcode. Local (i.e. per product) settings can be reached when adding or editing WooCommerce product from admin dashboard. [product_crowdfunding_total_sum] – total sum (i.e. funded to date) for current product (formatted as price). [product_crowdfunding_total_backers] – total number of orders (i.e. backers) for current product. [product_crowdfunding_total_items] – total number of ordered items for current product. [product_crowdfunding_list_backers] – list of backers for current product. [product_crowdfunding_goal] – end goal for current product (formatted as price). [product_crowdfunding_goal_remaining] – sum remaining to reach the end goal for current product (formatted as price). [product_crowdfunding_goal_remaining_progress_bar] – goal remaining as graphical progress bar. [product_crowdfunding_goal_backers] – end goal (backers) for current product. [product_crowdfunding_goal_backers_remaining] – backers remaining to reach the end goal for current product. [product_crowdfunding_goal_backers_remaining_progress_bar] – goal (backers) remaining as graphical progress bar. [product_crowdfunding_goal_items] – end goal (items) for current product. [product_crowdfunding_goal_items_remaining] – items remaining to reach the end goal for current product. [product_crowdfunding_goal_items_remaining_progress_bar] – goal (items) remaining as graphical progress bar. [product_crowdfunding_startdate] – starting date for current product. [product_crowdfunding_starttime] – starting time for current product. [product_crowdfunding_startdatetime] – starting date and time for current product. [product_crowdfunding_deadline] – ending date for current product. [product_crowdfunding_deadline_time] – ending time for current product. [product_crowdfunding_deadline_datetime] – ending date and time for current product. [product_crowdfunding_time_to_start] – time remaining till start. [product_crowdfunding_time_remaining] – time remaining till deadline. [product_crowdfunding_time_remaining_progress_bar] – time remaining as graphical progress bar. [product_crowdfunding_add_new_campaign] – campaigns by users. [crowdfunding_totals] – all crowdfunding campaigns (i.e. products) totals. 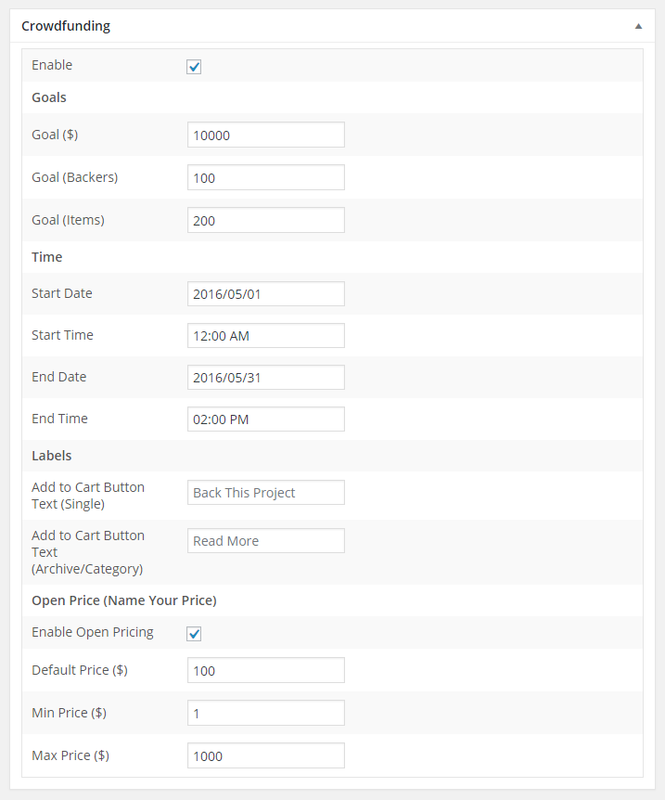 [product_crowdfunding_add_to_cart_form] – backers (add to cart) HTML form. Progress bar type. When standard is selected, no other params are used. line and circle use JS progress bar library. Possible values: standard; line; circle. Text position. Possible values: right; left; variable. Used only when text_position is set to variable. Progress bar width. Can be pixels or percent, e.g. : 100%. Love the idea and functionality, but….. it breaks my multisite wordpress install!!! After activating the plugin, the product page’s (example.com/pruduct/page-name ) give’s a “oops, page not found error”…. I hope a future update will help, because I’m really interested! sorry to hear that, we are working on multi-site functionality. Let you know when it will be available. We’ve finally added multisite support (since plugin’s version 2.2.2). Thanks Guys! Very simple, cheap and functional plugin. Save me some money and time! Can I pay you to customise the plugin for me? I have a design crowd funding project that measures success by units sold rather than money raised. we will create a ticket on our help desk, get back to you ASAP. I have the pro version and also have the ‘Catalog Visibility Options’ extension. For normal products, this extension works ok, but it does not work with the crowdfunding plugin i.e the ‘Add To Cart’ button and other info is still visible for not logged in users. Are there any filters to put in place for this or is there a fix for this, please? I have also posted this on the support thread on the WP site and sent emails, but I have some urgency to resolve this quickly. Your early response is greatly appreciated. we discussed it in private. I can’t seem to get open pricing to work. After I tick the “Enable Open Pricing” box and save the product – the tick is gone again. Please advise how I can solve this. I am unable to change the color of the progress bar by using the short code styling mentioned. Secondly I want to increase the length of the progress bar and wish not to have visible sections marked in the above bar. Let me know how can do more styling to the progress bar. I am unable to understand where to insert CSS code. “Enable Open Pricing” and other bugs FIXED. Now everything is good. Update plugin by reinstall and enjoy. Quick and quality online support. Recommended. The plugin looks great but I’m wondering, can you tell me the difference between the free and pro version? I don’t see any comparisson of features. Plugin works exactly the same as free Crowdfunding for WooCommerce plugin, except there is no limitation on how many crowdfunding products you can add (in free version you can have max 3 crowdfunding products enabled at the same time). I like the options and potential to use this with existing Woocommerce on my site but when I downloaded the plugin none of the shortcode or automatically generated pages (the 4 added during uploading plugin) worked. The pages would only take me to a website page that showed the text for the short code displayed but no content. I am looking for a single page crowdfunding option that looks and feels like a “Kickstarter” page to run as a fundraiser for our event. If a walkthrough or support to help me figure the issues out was available, I would definitely pay the pro feature cost. Is help available? I have sent a support request on the 13th of Nov but have not had any replies. Hi, where’s the difference between the free version and the paid one? I love the concept of crowd funding but I can’t figure out how to have different variants with the app. I’ve also had four different people “back” my project yet it shows on my website that no one has purchased anything. Is there a fix for this? Is there a way to hide the amount of money raised? My crowd funding idea is more of a “pre-order” versus a raise money for a cause type of campaign. If you could e-mail me back at [email protected] as soon as possible, that would be great. 94 thoughts on "Crowdfunding for WooCommerce"
will this app allow for users to create their own campaign on the front end? sorry, not possible at the moment. We will add this feature to our to-do list. Since plugin’s version 2.3.0 we’ve added the possibility for your users to create new campaigns directly from frontend. To do that you need to add [product_crowdfunding_add_new_campaign] shortcode somewhere on your site (e.g. create a new page for that). There is also additional options in WooCommerce > Settings > Crowdfunding > User Campaigns. Hi when i add the short code [product_crowdfunding_add_new_campaign] to a page i get the message ‘wrong user role’ why is this? Same here.. What was the answer? Sorry for not replying earlier. Could you please recheck if “User Visibility” option in “WooCommerce > Settings > Crowdfunding > User Campaigns” is set correctly? It looks like you are blocking the form from some user roles. Doesn’t matter what settings I change, I have the same issue. I haven’t selected any roles in “User Visibility” still it only says “Wrong user role!” where I add the short code “[product_crowdfunding_add_new_campaign]”. This worked but I couldn’t leave it blank and have all users see the form as the settings suggest. I had to add user roles. If I want to add them all that’s always an option to get it to work. There’s no option to reply to Johan below or I would have done that. As MarieHemel pointed out – there was a bug when “User Visibility” option was left empty. This is fixed now in v2.6.2 of the plugin. How to get LICENSE FREE TEST in XAMPP? Free version can be downloaded here – https://downloads.wordpress.org/plugin/crowdfunding-for-woocommerce.zip. Any possibility on changing colour of progress bar and having percentage instead of number of days? You can read more on how to style the progress bar here – http://html5doctor.com/the-progress-element/#styling or even more customizations here – https://css-tricks.com/html5-progress-element/. Regarding “percentage instead of number of days” – if I understood you correctly that is not possible at the moment, but it seems quite easy to add, so I will add new shortcode for this in next update (in a couple of weeks max). For now you could use product_crowdfunding_time_remaining_progress_bar shortcode to display progress bar instead of number of days. Please advise how to add variable options like shown in the last image. Sorry for the delay. If you mean – display radio buttons – you need to go to General Crowdfunding settings (in WooCommerce > Settings > Crowdfunding > General), and enable the “Radio Buttons for Variable Products” checkbox in “Variable Add to Cart Form Options” section. After that all WooCommerce variable products will have radio buttons instead of standard drop down box. Hope I made it a little more clear – please let me know if you have any questions. I’ve done this, but I’m still not getting the radio buttons. Can you help me figure out what I’m doing wrong? Are there any demo campaigns set up anywhere to see what all the elements look like? Sorry for not replying earlier. Unfortunately no – there are no demo campaigns available at the moment. Will try to add it as soon as possible. Does this plugin gather a custom report that shows all the customers who purchased/crowdfunded as well as the different variables they purchased, etc? Can you explain how the backing mechanism works for the funders in your plugin (if the plugin deals with this issue)? Are the funds put on hold on their card accounts, written off or the cards immediately, or the payment is delayed? is this plugin free / premium only support single payment not recurring? I have the crowdfunding set to require approval before publishing. I have not received any emails to alert me that a new fundraiser has been added and waiting approval. Is this is option? Hi I have your plugin installed and was wondering how I can edit the increments people can invest by. Currently, they go up by 1 when the user presses the up and down arrow. I need to know how to edit the increments to go up by 1000 rather than 1. Open Price is well enabled in the general settings of Crowdfunding and in the variable product but does not work. We’re having the same trouble. Did you find a solution to this?? This plugin conflicts with eventon tickets. As soon as we enable tickets on an event – it breaks the entire event page. If you can fix this – we’ll buy the pro license. or perhaps it’s just poorly coded. This plugin is not working with my theme even though my theme is compatible with woocommerce. I am not allowed to enter the pricing for some reason. I also need help integrating it with another plugin involving Woocommerce. Please help! I couldn’t get the numbers to update on the front-end unless I turned the setting “Products Data Update Options” to “Realtime”. Which, I didn’t really want to do that. I confirmed that cron jobs were working properly on my site as well. Then I went to the code and dug around and found that in the “clas-wc-crowdfunding.php” file in the “update_products_data” function that the WP_Query is looking for the “_alg_crowdfunding_products_data_updated_time’ meta key and when I went to look for that meta key in the post meta table it wasn’t there. That’s why none of the numbers were being updated in the database because it was looking for a non-existent meta key. I changed the meta key that the wp_query was looking for to just “_alg_crowdfunding_enabled” and then it started working. Now, from now on it’s creating the “_alg_crowdfunding_products_data_updated_time” meta key so it’s working like normal now. I had the same problem. Thanks for this comment! Sorry for not replying earlier. We’ve released new v2.6.0 today – data update should now be working fine. How can I know the event sponsor message? 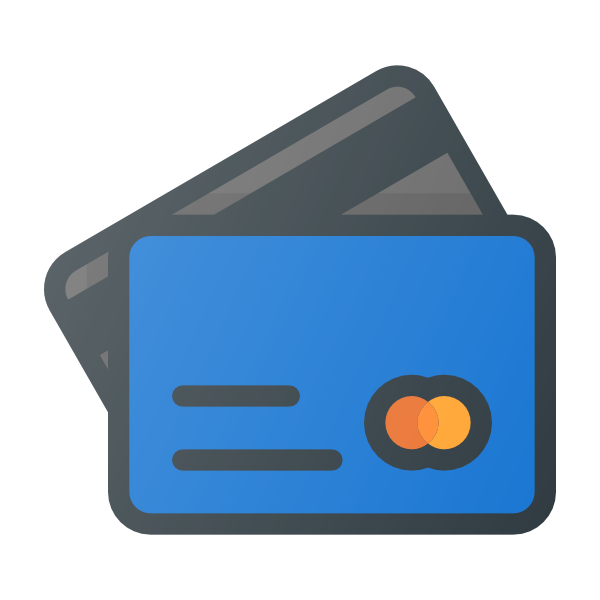 Does this plugin support the Stripe payment gateway? I downloaded the plugin so that I could to a single crowdfunding campaign on my WP site. I am using this with Woocommerce. Except for setting individual tickets up as a crowdfunding Item in the product section I am having a hard time getting anything that resembles a usual crowdfunding campaign. I am not the most programmer savvy. Is a setup tutorial and walkthrough from download to frontend setup available for this plugin? 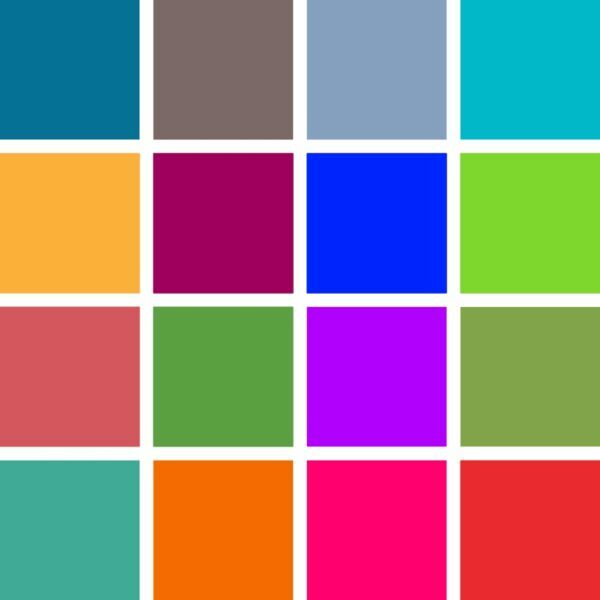 I am using this app for my site and it saved so much of my time. I had no problem using this to make a single language crowdfunding site, but when I tried to make it multilingual, problems started to pop up. – Funding goal, Funding to date values are not converted according to the currency. – Title and contents cannot be translated even with PO file. – Same as 2, the contents cannot be translated. Could you give me some ideas how to work this out? I need your support please. I added, installed the plugin Crowfunding for Woocommerce and already searched for every Worpress site, but I dont find the plugin. In other words, can the same project in multiple languages be a goal? I want to show the total amount in the sidebar. How could I do that? We just bought an unlimited license – despite no response to either of our support requests. Now we have two versions installed. Is this corrrect? or should the first one be deactivated… and if so – will the settings remain? Also – how do we get our questions answered around here?? Does anybody get any answers here? Is it possible to place a shortcode on the homepage of my wp-site with a specific crowdfunding product, so I can show the [product_crowdfunding_time_remaining_progress_bar type=”circle” color=”red” text_color=”black”] for a specific product on home? I just updated to the latest version of your plugin. If I try to click on the “Update data now” button under Woocoomerce > Settings > Crowdfunding I get a 504 Gateway error. We have the update set to twice daily. The plugin is not updating all of the totals. One of the products hasn’t been updated in over a week. The site is running PHP 7 on Siteground. We only have 32 active crowdfunding projects. Iam having an error for this shortcode: [product_crowdfunding_add_to_cart_form], not sure when to use, or what it does. Can i get some directions? The site http://www.presenteadus.org.br uses Crowdfunding for Woocommerce and recently a user has created a crowdfunding campaign called “Gratitude”. Two people donated for this campaign, but as the campaign creator told me, after he changed the text of the campaign, the donations disappeared from the campaign. In fact, after doing a research, I noticed that the donations were effectly made (and paid), but the values do not appear in the campaign total anymore. I can check that the donations have been made and are “linked” to the campaign correctly (in the Woocommerce log), however, the campaign in this plugin Crowdfunding for Woocommerce does not seem to be able to add the values by assigning 0 (zero) donations. Can you help me, please? I bought the plugin for my personal crowdfunding campaign and I have a few question. 1. I wish to have on my front page the total sum that was raised. At the moment I can see on each product the sum that was raised for the individual product. How can that be achieved? 2. I would like the products to show the short description on the products list on the front page as well. Now the description appears only on products page. Also is there a way to show the backers list on another page? Some shortcode or something like that displays the list of backers? And if you prefer the plugin solution, please check Info Blocks for WooCommerce plugin. Hope that helps and please let me know if you have any more questions. And I will get back to you when new shortcodes for displaying info for all products at once are ready. Thank you for the snippet, it works!! I’m trying to show on each product number of backer and how many product are available. It is easy to show how many people backed the project, but I couldn’t find out how to add the number of product available. Thank you for your help so far, I hope it is the last round of questions for this project. the products title, when they are longer than one line doesn’t show well. It looks like its two lines on top of each other. Also, and may be it is the same problem, the description does not keep the design of the description of the product page, meaning, I separete the text to lines as I want it to show but it wouldn’t keep the line brakes and would show it as continuous text. When a product is out of stock, the button text remain the same, and when clicking on it, instead of being directed to checkout, (I want to skip the cart page) the product page is opened and there it’s written that it is out of stock. I rathe have indication on the product list itself that it is out of stock. In the plugin setting there is a message on product end, is it suppose to show somewhere when it is out of stock, or did I miss something? Regarding your other questions – I will get back to you a little bit later. Hope that helps. Please let me know if something is not working as expected. P.S. If you like the plugin, please consider leaving us a rating. I saw on your site the new release but no update available on my WP panel. And I couldn’t figure out what to do but to buy the new release again, as I have just bought the pro version. Hope to solve this and the Q from the former post ASAP as I’m eager to set it out. 3. Regarding “… in the plugin setting there is a message on product end…” – this message will be shown on the single product page when campaign time ends or goal is reached (and also “Add to cart” will be removed). Please make sure that you have checked End On Time Ended and/or End On Goal Reached checkboxes in plugin settings (in “WooCommerce > Settings > Crowdfunding > General > Ending Options”). Thank you for your support so far. Tomorrow I’m going to launch my campaign at last, and I’m left with only one discomfort. The checkout page looks a bit funny. As I just build another site with the same theme and Elementor, I suspect it to be “blamed” upon the plugin. I hope that you will be able to help as you did so well until now. By the way, is it possible to upgrade later on to lifetime license or unlimited lifetime? I would definitely be interested in getting Pro. I like the concept, but those gaps between the answers by the tech support really scare me. Anyway, I will ask – can this plugin work in combination with the multi-vendor solution like WC Marketplace so the money collected goes directly to the campaign’s author PayPal? You are correct regarding “… gaps between the answers…” – hopefully this is fixed now and we will be replying properly now. Regarding “… multi-vendor solution like WC Marketplace…” – I didn’t test it, but there should be no issues. Crowdfunding products created by our plugin are generally standard WooCommerce products, so multi-vendor plugins should process it as standard products. I would suggest testing it with free plugin version first, or alternatively – as there is “30 days no questions asked” refund policy on WPFactory, in case if something is not working as expected, we will gladly issue a refund or if you wish I could try to fix it asap (however, as mentioned, there should be no issues with multi-vendor plugins). Hope that helps and please let me know if you have any questions. Is there an action hook for complet processing in this plugin? Not sure I understood you correctly – which “complete processing”? Do you mean hook fired when all orders data (i.e. backers, total sum etc.) is calculated? If that’s correct – unfortunately there is no hook at the moment, but I could easily add it in next plugin version. I want to process order cancellation (project unsuccess. )by that action hook. When is your next update scheduled? The meaning of “completion processing” is for a completion process when the date and time target is reached. Sorry for a late reply. Ok, I got it – will be trying to add it in next update. The update is scheduled in two weeks. As promised, we’ve just released new plugin version 2.9.0, where I’ve added new alg_wc_crowdfunding_campaign_ended action. Please check the Description for an example. Not directly related to your request, but I’ve also added option to send an email on campaign ended (“Admin Email: Campaign Ended” option in “WooCommerce > Settings > Crowdfunding > General > Ending Options”). Please let me know if something is not working as expected. >Not directly related to your request, but I’ve also added option to send an email on campaign ended (“Admin Email: Campaign Ended” option in “WooCommerce > Settings > Crowdfunding > General > Ending Options”). It would be more convenient if you could let the applicant know the start of project acceptance by automatic transmission mail. Ok, I think I could add it. Just to be sure – you want campaign author to receive an email when his product is “published”, correct? Its not for “campaign author”. It is a notification for “customers”. Is it possible for a user to edit their campaign from the front end after creating? Yes that is possible. Via “My account > Campaigns”. You also need to enable options in Add “Campaigns” Tab to User’s My Account Page section in plugin settings (in “WooCommerce > Settings > Crowdfunding > User Campaigns”). Hi, I just updated to version 2.9.0 and it crashed my wp-admin. Any idea why? Thank you. Sorry it happened, however, unfortunately, I’m unable to reproduce the issue. I’ve tried both free and Pro plugin versions – both seem to be working fine, wp-admin is still accessible. Maybe I could log in to your server to check what’s going on? If that is possible – my private email is [email protected]. And as it crashes the site, I would need FTP access also. Thanks Tom for the support. I think for this project I’ll just leave it at version 2.8 since it’s working. I ‘ve just downloaded the plugin from wp plugins all seems to be working fine so far I actually like the simplicity of the script while leveraging wp and woocommerce framework. I a little confused about the free version I have downloaded and the pro …what is the difference between them is there a comparison table to see the extra features in the pro? Currently free plugin version is limited to 3 crowdfunding products enabled at the same time. 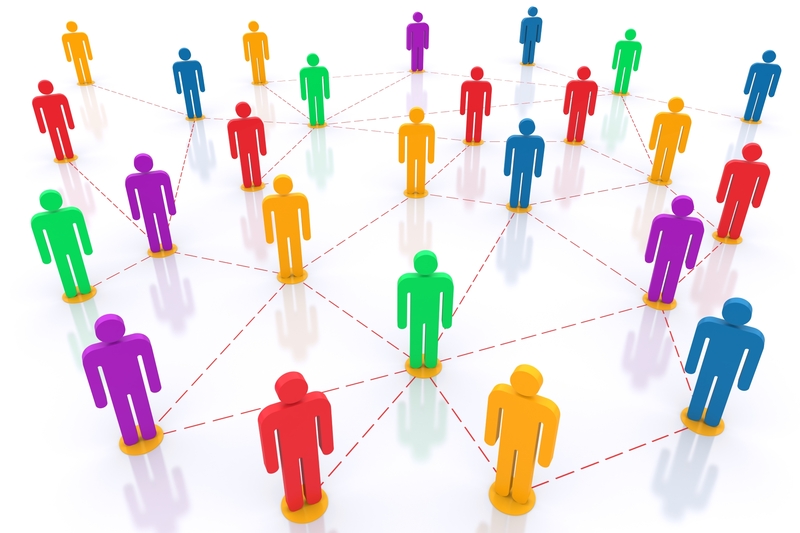 With Pro version you can enable an unlimited number of crowdfunding products. any idea how to add a video inside a product info especially for the user similar to add image at least for (youtube and vimeo)? The display for variation of our theme is drop down. I want to unify the display for all variations to the theme default display. However, only Crowdfunding for Woo Commerce displays it with a radio button. Could you solve this problem? Does this plugin allow for more than one product in cart from the same campaign? I have tried the free version and it shows warning. Yes, there should be no issues adding multiple same campaign products to the cart. Could you please let me know what is the warning message? I realized that the message only appear when i add to cart a product of the same amount to cart. “You cannot add another “Pledge” to your cart.” is the message im getting. Any idea? I am using open pricing if that changes anything. Ok, that clears it up. The problem was that open pricing products were marked as “sold individually”, so unless the price is different, user cannot add more than one product to the cart. I’ve just released new plugin version 2.9.2 (both free and Pro) – after the update, please go to “WooCommerce > Settings > Crowdfunding > Open Pricing” and uncheck newly added “Hide Quantity Input Field” checkbox option. This will allow adding more than one open pricing product with the same price to the cart. Please let me know if there are any issues or you have any questions. And if you like the plugin, please consider leaving us a rating. First I want to thank you for the plugin. I get good feedback about the look of my campaign. From some reason, updating WP make product short description disappear, although I use child theme. I have contacted Elementor support and the said the best way to solve this issue, which is an issue with element or pro basically, is that you contact directly with their developers on GitHub project (https://github.com/elementor/elementor/issues) to collaborate. I really hope that you will be able to solve this problem soon, as it quite downgrade the functionality of my campaign. The snipet that you have sent me before doesn’t seem to work anymore. Hi, how are perks added? I’d like to clone the functionality of Indiegogo as much as possible. If I understand “perks” correctly then you need to create a standard WooCommerce variable product and add a variation for each “perk”. As our plugin doesn’t create any “special” product types and instead uses standard WooCommerce products, you could, for example, add “perk” attribute and create “Premium – Light Package”, “Exclusive – Light Package” etc. variations from it. Then you would just mark this variable product as “crowdfunding”. Hope you get the idea. Please let me know if you have any questions. I already have a life time license – single site, but I need to buy another one for another project. However, for the second project, i need [product_crowdfunding_list_backers] shortcode to display only the backer list without the amount. Can you consider this modification? Hope that helps. Please let me know if you have any questions. * Dev - Open Pricing - "Hide Quantity Input Field" option added. * Fix - Radio Buttons for Variable Products - Variations images, descriptions, prices and availability are now properly displayed on variation switch. * Dev - Ending Options - "Admin Email: Campaign Ended" option added. * Dev - User Campaigns - "Admin Email: Campaign Added/Edited" options added. * Dev - [crowdfunding_totals] shortcode added. * Dev - alg_wc_crowdfunding_campaign_orders_data_calculated, alg_wc_crowdfunding_campaign_not_active and alg_wc_crowdfunding_campaign_ended actions added. * Dev - User Campaigns - Message: Campaign Successfully Added/Edited - Options IDs shortened. * Fix - Crowdfunding Report - Possible "... date() expects parameter 2 to be integer, string given..." PHP warning fixed. * Dev - Saving backers' data (first name, last name, sum, quantity, order ID, order (created) date, order currency) on product data update now. * Dev - Shortcodes - [product_crowdfunding_list_backers] shortcode added. * Fix - Shortcodes - Empty attributes notice fixed. * Fix - Shortcodes - Non-numeric value notice fixed. 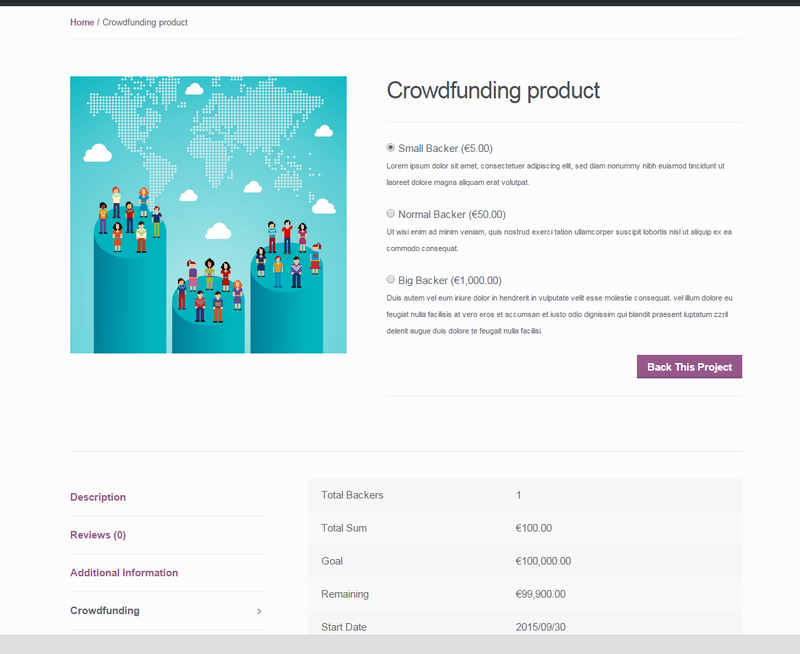 * Dev - "Crowdfunding Report" submenu page added (to "WooCommerce > Crowdfunding Report"). * Dev - Advanced Options - "Add Crowdfunding Data Column" option added. * Dev - Functions - alg_calculate_product_orders_data() - Code refactoring. * Dev - Admin settings minor restyling. * Dev - Code refactoring and clean up. * Fix - User Campaigns - User Visibility - "Leave empty to show to all users" option fixed. * Dev - Product Data Update - Optimized. * Fix - Product Data Update - Fixed for new products. * Dev - WooCommerce v3.2.0 compatibility - Admin settings - select type display fixed. * Dev - "Update Data Now" button for single product added (meta box). * Dev - Filter - Fix. * Dev - Functions - alg_get_product_id_or_variation_parent_id() and alg_get_product_post_status() - Checking for valid $_product. * Dev - Product Data Update - Ordering products by data updated time (instead of title). * Dev - General - Products Data Update Options - "Update data now" button added. * Dev - General - Products Data Update Options - "Previous update triggered at ..." info added. * Dev - General - Advanced Options - "Log" option added. * Dev - General - Settings restyled. * Dev - Shortcodes - get_progress_bar() - text_position, text_position_variable_max_left, text_top attributes added. Code refactoring. * Dev - "Reset settings" option added. * Dev - Settings sections array stored as main class property. * Dev - WooCommerce v3.x.x compatibility - Product post status. * Dev - WooCommerce v3.x.x compatibility - Product ID. * Dev - WooCommerce v3.x.x compatibility - Price hook (woocommerce_get_price and woocommerce_product_get_price). * Fix - alg_calculate_product_orders_data() - Additional check for product added. * Tweak - Plugin link changed from http://coder.fm to https://wpcodefactory.com. * Tweak - Minor code refactoring. * Dev - Language (POT) file updated. * Dev - Code refactoring - Shortcodes divided into separate files. * Dev - Percent from total in shortcodes: percent value for type attribute (and round_precision attribute) added to [product_crowdfunding_total_sum], [product_crowdfunding_total_backers], [product_crowdfunding_total_items], [product_crowdfunding_goal_remaining], [product_crowdfunding_goal_backers_remaining], [product_crowdfunding_goal_items_remaining] shortcodes. * Dev - alg_crowdfunding_output_shortcode_price filter added. * Dev - load_plugin_textdomain moved from init hook to constructor. * Tweak - readme.txt updated. * Tweak - basename check added. * Fix - load_plugin_textdomain moved from init hook to constructor. * Dev - jQuery dependency and loading in footer added to wp_enqueue_script( 'alg-datepicker' ). * Dev - select type added to user campaign and admin fields. Can be used in alg_crowdfunding_admin_fields, alg_crowdfunding_user_campaign_fields, alg_crowdfunding_user_campaign_save_fields hooks. * Dev - Brazilian Portuguese (pt_BR) translation updated. * Tweak - Donate link changed. * Tweak - Typo (to and too) fixed. * Fix - Radio Buttons for Variable Products - Disable add to cart button on campaign not started or not active. * Fix - current_time result converted to int. * Fix - User Campaigns - User Visibility - Option not functioning correctly, fixed. * Dev - Open Price - "Number of Decimals (Price Step)" admin option added. * Dev - User Campaigns - "Campaigns" Tab - "Add Edit Campaign Button" and "Add Delete Campaign Button" options added. * Dev - Admin fields meta box in product edit - required option added. * Dev - alg_crowdfunding_admin_fields and alg_crowdfunding_user_campaign_fields filters added. alg_crowdfunding_user_campaign_save_fields action added. * Dev - Plugin version added to all wp_enqueue_style, wp_enqueue_script, wp_register_script. * Dev - display="date" changed to display="alg_crowdfunding_date"; display="time" changed to display="alg_crowdfunding_time". * Dev - do_shortcode() added to is_purchasable_html(). * Dev - [product_crowdfunding_time_to_start] shortcode added (with campaign_will_start, campaign_started and precision attributes). * Dev - [product_crowdfunding_time_remaining] - Full "time left" returned. campaign_will_end, campaign_ended and precision attributes added. * Dev - Brazilian Portuguese (pt_BR) translation files added. * Tweak - User Campaigns - User Visibility - Description tip added. * Tweak - Typo in functions names fixed. * Tweak - User Campaigns - "Campaigns" Tab - Admin option title fixed. * Fix - "Enable Open Pricing" checkbox not saving in admin product edit, fixed. * Fix - "My Account > Campaigns" fixed (endpoint added). * Dev - "... seconds since last update" message added to "General" settings section. * Dev - WP_Query optimized in alg_calculate_product_orders_data() to loop in blocks. * Dev - WP_Query optimized in alg_calculate_product_orders_data(), alg_count_crowdfunding_products(), add_my_products_content_my_account_page(), add_my_products_tab_my_account_page() and update_products_data() to return ids only. * Fix - "Crowdfunding enabled" checkbox not saving when adding new product, fixed. * Fix - Variable radio buttons - Variation image fixed. * Dev - "Crowdfunding Orders Data" metabox added. * Dev - "User Campaigns" section added. * Dev - "Products Data Update Options" section (and crons) added. * Dev - "Ending Options" section added (including new "End On Goal Reached"). * Dev - Progress bar styling options added. * Dev - "Order Statuses to Include in Calculations" option added (order_status shortcode attribute removed). * Dev - Version system added. * Dev - Time and date pickers loading moved to frontend (for "User Campaigns" section). * Dev - Functions moved to separate functions file. * Dev - Shortcodes loading moved to frontend file. * Tweak - "General" section link (bold) fixed. * Tweak - Contributors changed. * Fix - get_product_orders_data() global post fix. * Fix - Text domain renamed in plugin header. * Dev - Multisite enabled. is_super_admin call replaced. * Dev - Translation text domain renamed. lt_LT translation added. * Fix - Titles in per product admin options table - caused PHP notice when saving product. * Dev - Text domain added to the plugin header. * Dev - [product_crowdfunding_time_progress_bar] renamed to [product_crowdfunding_time_remaining_progress_bar]. * Dev - POT file updated. * Fix - total_orders in get_product_orders_data. * Fix - Custom links fixed. * Dev - "Open Pricing (Name Your Price)" functionality added. * Dev - starting_offset shortcodes attribute added to get_product_orders_data. * Dev - show_if_zero attribute added to output_shortcode function. * Dev - [product_crowdfunding_goal_backers] shortcode added. * Dev - [product_crowdfunding_goal_items] shortcode added. * Dev - [product_crowdfunding_goal_backers_remaining] shortcode added. * Dev - [product_crowdfunding_goal_items_remaining] shortcode added. * Dev - [product_crowdfunding_goal_backers_remaining_progress_bar] shortcode added. * Dev - [product_crowdfunding_goal_items_remaining_progress_bar] shortcode added. * Dev - [product_crowdfunding_goal_progress_bar] renamed to [product_crowdfunding_goal_remaining_progress_bar]. * Dev - [product_total_orders_sum] renamed to [product_crowdfunding_total_sum]. * Dev - [product_total_orders] renamed to [product_crowdfunding_total_backers]. * Dev - [product_crowdfunding_total_items] shortcode added. * Dev - Formating date and time according to local format. * Dev - post__not_in added to save_meta_box. * Tweak - Titles added in per product admin options table. * Dev - WooCommerce Grouped products support added. * Dev - product_id attribute added in shortcodes. * Dev - order_status attribute added in orders shortcodes: product_crowdfunding_goal_progress_bar, product_crowdfunding_goal_remaining, product_total_orders, product_total_orders_sum. * Dev - "Crowdfunding" column added to admin products list. * Fix - Counting fix. * Fix - Additional check in is_crowdfunding_product(). Caused PHP notice. * Fix - Global product reset in get_product_orders_data() added. * Dev - Crowdfunding type product removed - now any product type (e.g. simple, variable) can be used as crowdfunding product. * Fix - Shortcodes - [product_crowdfunding_time_remaining] singular form bug fixed. * Dev - Product Info - Custom Product Info - Category View option added. * Dev - [product_crowdfunding_time_progress_bar] shortcode added. * Dev - [product_crowdfunding_goal_progress_bar] shortcode added. * Dev - [product_crowdfunding_add_to_cart_form] shortcode added. * Fix - "Remove Last Variation" bug when saving on product's admin edit page, fixed. * Dev - [product_crowdfunding_starttime], [product_crowdfunding_startdatetime], [product_crowdfunding_deadline_time], [product_crowdfunding_deadline_datetime] shortcodes added. * Dev - Start/end time added. * Fix - Validation on frontend only affects crowdfunding type products now.